State College, Pennsylvania is home to Penn State University, and soon to a new limited service hotel serving college students and their families. 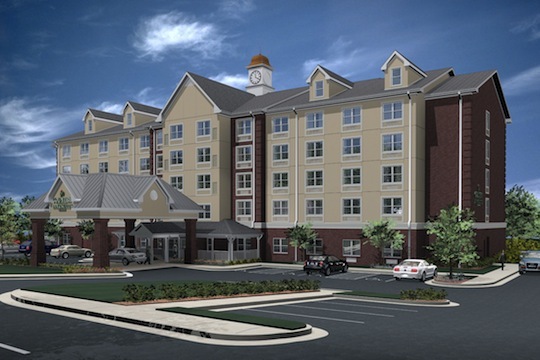 The Country Inn & Suites, based on the April 2009 prototype design, will feature 113 guestrooms on 5 floors. The hotel will include an expanded indoor dining area, an indoor pool, spacious exercise room and 2 meeting rooms that can be combined to create one large meeting room. The mix of suites and standard rooms provides great flexibility for business and leisure guests. Construction began in May of 2010, and is expected to be completed by May of 2011.